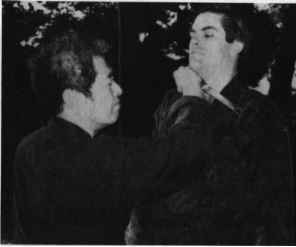 A former U.S. Marine captain, Jack Hoban trained in ninjutsu under Stephen K. Hayes before going to Japan to further his knowledge under the direction of grandmaster Masaaki Hatsumi. Although he teaches occasional seminars and runs his own taijutsu club in the New Jersey-New York area where he lives, considers himself a practitioner rather than teacher. Nevertheless, he holds a shidoshi license from the grandmaster and is authorized to teach the art of ninjutsu. Jack Hoban has written two books on the arts of tantojutsu and bojutsu, and is now working on a third book on his training philosophy and how it applies to various levels of contemporary life in the United States. He holds a master's degree in business administration and is an executive of a major financial services corporation. Charles Daniels has studied the major martial arts of Europe and Asia, settling on ninjutsu as his life's guiding art. 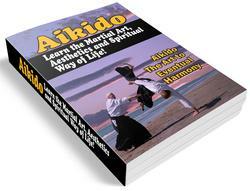 He has written several books on ninjutsu. He tours the U.S. and Europe, giving seminars on the art of the shadow warrior. Born in Africa almost half a century ago, in what is now Zimbabwe, Chris Reynolds has spent most of his life involved with languages (ancient and modern), medical matters (Western and Oriental), Indian philosophy, and martial arts (boxing, judo, aikido, and ninjutsu). He speaks a few of these languages—some quite badly—and works mainly as a freelance medical translator, at which he thinks he is somewhat less unskilled. He has lived in Japan for 14 years, and is married, with two young children. He now studies ninpo under Dr. Hatsumi, for whom he acts as an occasional interpreter. Given the choice, he would like to be younger, less clumsy, more intelligent, and able to fly.